Not long after I left school, I missed certain parts of it. Not enough of it to want to go back-- every time I considered that, I remembered all I didnʼt want-- but enough to try to recreate the good parts for myself. Since then, Iʼve organized many different types of groups and gotten quite good at community organizing. Some of the groups Iʼve organized throughout the years: math study groups, game engine forum/chats, psychology book clubs, programming workshops, electronics workshops, and more! Here, Iʼll discuss some new developments to my thinking along with other practices that are more applicable outside of workshops. Keep in mind this is not exhaustive at all-- please let me know if youʼd like elaboration on anything or more content. I hope this inspires you to organize some groups of your own and make the most of it. If youʼre a newbie, the best advice I can give is to structure the group in such a way that youʼre okay with only 2-3 people joining. Surely you can find 2-3 others who are interested? You can gather people from work, other social gatherings, social media, friends of friends who mentioned it to people they know, or even public sites like meetup.com . Being a newbie at organizing is tricky, because youʼre going to have an easier time with people you know (theyʼll be more forgiving of your mistakes), but strangers allow you to help more people and make a truly diverse event. Either way, donʼt be afraid to start small. I talked a little more on this in the workshop blog post but I want to be sure to mention this point. This was something I didnʼt always have when first organizing groups years ago, and I learned over time why itʼs necessary. 1. Proper descriptions of inappropriate behavior. Trust me, itʼs a rare day that someone who acted badly thinks theyʼre abusive, racist, sexist, or that they even did anything wrong. Even when itʼs obvious. Community organizing will surprise you like that. You need to find a way to describe inappropriate behavior that even someone who thinks theyʼre in the right can agree with. For instance, someone is unlikely to admit they were sexist, but they could admit they gave unsolicited advice and didnʼt speak from their own experience using "I" statements. Not the best example, but hopefully you see what Iʼm getting at. 2. Itʼs about more than just preventing disasters— it’s about defining the social context of the event. Good code of conducts give people a sense of what to expect from interaction with that group, and set the tone for what kind of space it is. Asking someone on a date might feel borderline harassing at a professional gathering (depending on how senior the person is, gender ratio, etc), but is perfectly expected at a singlesʼ mixer. Talking about a trauma you went through with strangers might feel toxic and creepily out of place in a game meetup, and welcome in a psychology book club. Context matters. Set the tone. 3. Ways to report violations, ideally ways that work even if an organizer with power and favor did the bad thing. This is a real tough one, and I imagine one that will constantly evolve. We can look to politics for examples. These days, I keep it simple with my small and short-lived groups and opt for a "benevolent dictator" model-- all violations reported to me, I can kick anyone out for any reason (helps if I messed up with point #1, which youʼll inevitably do). However, this is not a great model for longer-running groups or bigger groups, as trust me, all organizers are flawed and it does create a bad power dynamic (exactly what Iʼd like to avoid). 4. Make reporting easy and obvious. One of my favorite creative examples is signs I saw at one event in the womenʼs bathrooms about instructions on how to report sexual harassment, including words you could use to discretely report it while the harasser was still bothering you (like ordering certain drinks). But you can have more straightforward ways, just consider how violations could happen and how youʼll handle it. 5. Have mild consequences for mild violations or little corrections to members, not just "youʼre kicked out at any violation whatsoever." Keep in mind, people donʼt like having an extra tab or app open. Unless your group really provides something special, and even if it does, itʼll often silently die if you require this. Lately Iʼve been liking Twitter DM chats for small, short-lived groups. Iʼve also had a lot of success with forums like Google Groups that send members e-mail updates, because everyone checks their e-mail, and success with Slack if the group had enough interest/momentum. The Slack ones have died fast when momentum dropped, though-- that requires consistent activity and interest. Talked about a bit in the workshop blog post (linked to in the Introduction). Iʼve used mostly the same ideas, and since then also realized how many community spaces Seattle has-- for instance, an extra room in my local coffee shop they reserve for free, or a long table in another that I can also be sure no one sits at during the meetup time. Check out your local coffee shops, bookstores, library, any low-cost space (for instance, I wouldnʼt recommend a restaurant unless you could cover the bill yourself) for community spaces. Tech companies or coworking spaces like WeWork also host events for free, often just requesting they get to pitch your attendees on whatever theyʼre offering (hiring positions, getting memberships, etc). Location is a socioeconomic issue and matters. Whenever possible, inconvenience the people with money and make it convenient for those in poorer areas. I usually send out a link that anyone can click on to join, typically using Hangouts. However, people who are more professional than me tend to prefer Zoom and Iʼd recommend it from my experience. Also check out the software of choice of digital conferences-- things get trickier the bigger your audience. Iʼve seen one organizer do a smaller Hangouts group that was streamed with live chat, but itʼs nice when audience members can participate more than that. Possibly the most interesting topic! Iʼve found 100 pages every two weeks is a manageable amount and it seems the internet agrees with me. This is about 2 hours of focused reading, which you would think could be done in a shorter time, but keep in mind people (including me) often need to get in the right headspace and feel at peace enough to read the book, which may only happen on one lucky Saturday morning in those two weeks. I set guidelines upfront that the topics should stay around the book-- for instance, quoting passages, asking questions about a concept the book introduces, mentioning related resources, or sharing experiences related to the book. Fiction will be different than non-fiction, Iʼve mostly done nonfiction psychology texts. Set an example. If youʼre contributing thoughtfully in the way you want others to, other thoughtful contributions that mirror yours will fall in. I like a mix of chat and video calls for this format, so remote people can join. Since this is heavily discussion-based, I keep in mind lessons Iʼve learned in other areas of life. From seminars in college, I learned-- 1/3 of your speaking should be questions, 1/3 should be rephrasing/underlining what others have said, and 1/3 should be your own contributions. From group therapy sessions, I learned taking breaks in discussion and allowing silence is so important for peace and inclusion. I also learned the power of "I" statements, not giving unsolicited advice to others, and avoiding sensitive topics. I love moderating discussions and examining what makes a healthy discussion, and I think Iʼm going to incorporate more discussions in different kinds of groups. Iʼve experienced both great failures and great successes with study groups, mostly focused on mathematics. The bad ones were ones where it started to resemble the bad parts of school-- too much work and structure, and elitism/talking down to newbies. Itʼs surprisingly hard to squash the latter as an organizer, you want to prevent those issues before they come up. * Be careful about requiring previous knowledge, even on advanced texts. Iʼd caution against it. Let people self-select out or in. * Keep watch on members tutoring each other. Unsolicited, and sometimes even solicited, tutoring can very quickly turn condescending and overbearing during a time thatʼs supposed to be a pleasant hobby activity. Setting the appropriate tone is the way to go to prevent this. I tend to like in person gatherings at coffee shops (no reservations made, just showed up) for this format. Every time Iʼve organized something like this itʼs never had much structure, though thatʼs normal for this type of group-- people often make meetups or conferences with talks that transition to general networking. I typically do a slack group or e-mail forum with any theme apparent in the title and code of conduct very visible-- especially important whenever the group is mostly unstructured/unthemed discussion and interaction. One thing Iʼve found thatʼs important is that I actually have the bandwidth/energy to check in regularly to moderate. As a result, many of these types of groups have died over the years (though some have also died because of implicit or explicit code of conduct violations from members that were too bad for the group to come back from). Nonetheless, I keep coming back to this format because I find it very rewarding when done well. I tend not to like in person for this format because I am not a fan of an audience being talked to. Iʼd prefer something more collaborative that didnʼt imply weird power dynamics about who is special enough to get to be the speaker and who has to just be a mute. Small groups grabbing meals are very common and tend to work well. Youʼve got to keep an eye on making sure the attendees are from diverse backgrounds and some are out of your network. The problem with these small groups, of course, is a lot more people would love to join. Another kind is general networking surrounding something more passive, like demo booths set up. I actually really like this concept as a way to allow more people to come to the event while not elevating anyone to be a speaker or panelist. I think in the future I may experiment with larger moderated discussions too. At Keenethics, we always think of a new way to improve our productivity, and in this case study, we draw attention to monitors. The small size of a monitor does not allow a user to have a lot of windows simultaneously opened and makes a user switch between windows, which is time-consuming. * A widescreen monitor improves the productivity as much as two monitors combined. * A 22-inch monitor increases performance by 30% compared to a 19-inch one. * A 26-inch monitor increases performance by 20% compared to a 22-inch one. * Yet, the performance when working with a 30-inch monitor dropped compared to the 26-inch “champion”. * However, working with a monitor as large as 30 inches is still more productive than with a 19-inch one. The DELL company claims that using two monitors simultaneously, provided they were both assigned directly to work tasks and not YouTube surfing, would boost an employee’s performance by as much as 30%. These claims, of course, may be somewhat biased. Psychology professor David Meyer of the University of Michigan argues that working with multiple monitors, in contrast to concentrating on one, can negatively affect productivity. People are distracted and their workflow gets constantly interrupted. Every man to his own opinion, so we decided to conduct our own research. Three people were selected for the study: the first person received a 24” monitor, the second participant – a 25” monitor with a 21: 9 aspect ratio, and the third participant – two 24” monitors. The study lasted for three weeks. Each week, the participants swapped their monitors and, on Friday, performed the same tasks using the monitors they had been working on for the last four days. The study showed that the participants who performed tasks using two monitors spent less time compared to those who used a single monitor. It can be explained by the fact that opening the program for the task on one monitor and the task itself and the search engine on the other one, the employee spends less time switching between tabs, reviewing the task, etc. On an average of 10 minutes working on one monitor, a person switches about 10–15 times between tabs, while in the case of two monitors, this number drops almost twice. Moreover, participants report that switching between tabs worsens concentration. Naturally, when working with two monitors, you have to turn your head more often. When working with two monitors, employees make a turn of the neck up to 10° more compared to using a single monitor. Accordingly, the difference in neck movement between using a single 24-inch monitor and a 25-inch one is also there but insignificant. Therefore, while working on 2 monitors may require massages or physical exercises to reduce neck strain, one monitor is lean and mean. Thanks for taking part in the experiment: Volodymyr Andrushak, Rostislav Tanchak, Mikhail Fedorovich, Marina Yanul, and Mikhailo Ostrovyy. New Way of Improving Productivity - Read on Keenethics Corporate Blog! I'm having what she's having. Thanks, @anonymiss for your stream. 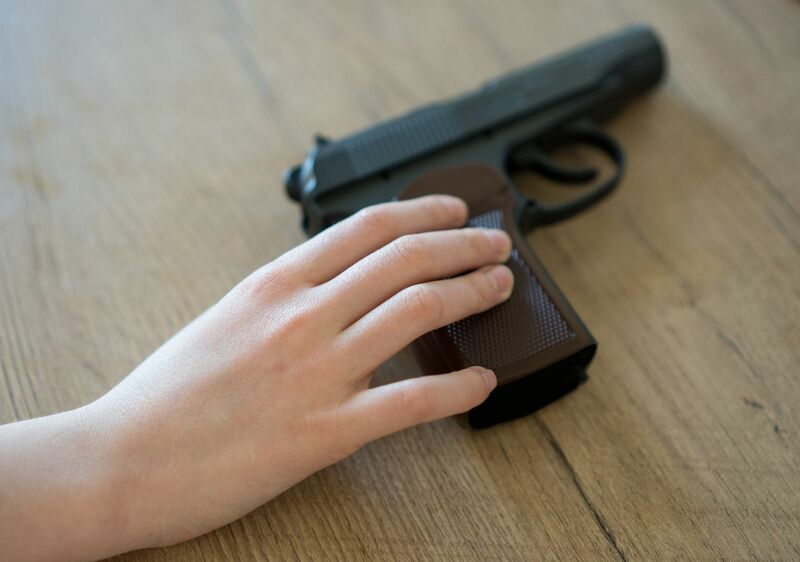 A recent study found that 38,940 children between 5 to 18 years old died in circumstances involving a firearm between 1999 and 2017. If the memory center of the human brain can grow new cells, it might help people recover from depression and post-traumatic stress disorder (PTSD), delay the onset of Alzheimer’s, deepen our understanding of epilepsy and offer new insights into memory and learning. If not, well then, it’s just one other way people are different from rodents and birds. For decades, scientists have debated whether the birth of new neurons—called neurogenesis—was possible in an area of the brain that is responsible for learning, memory and mood regulation. A growing body of research suggested they could, but then a Nature paper last year raised doubts. Now, a new study published today in another of the Nature family of journals—Nature Medicine—tips the balance back toward “yes.” In light of the new study, “I would say that there is an overwhelming case for the neurogenesis throughout life in humans,” Jonas Frisén, a professor at the Karolinska Institute in Sweden, said in an e-mail. Frisén, who was not involved in the new research, wrote a News and Views about the study in the current issue of Nature Medicine. Not everyone was convinced. Arturo Alvarez-Buylla was the senior author on last year’s Nature paper, which questioned the existence of neurogenesis. Alvarez-Buylla, a professor of neurological surgery at the University of California, San Francisco, says he still doubts that new neurons develop in the brain’s hippocampus after toddlerhood. For decades, some researchers have thought that the brain circuits of primates—including humans—would be too disrupted by the growth of substantial numbers of new neurons. Alvarez-Buylla says he thinks the scientific debate over the existence of neurogenesis should continue. “Basic knowledge is fundamental. 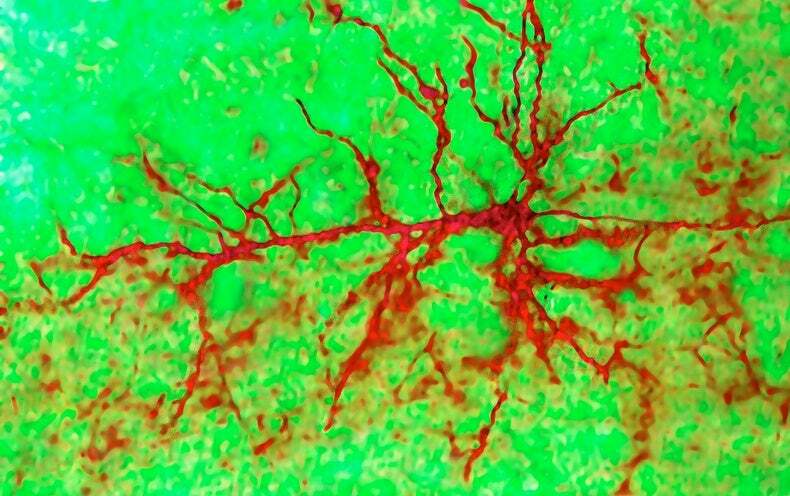 Just knowing whether adult neurons get replaced is a fascinating basic problem,” he said. New technologies that can locate cells in the living brain and measure the cells’ individual activity, none of which were used in the Nature Medicine study, may eventually put to rest any lingering questions. A number of researchers praised the new study as thoughtful and carefully conducted. 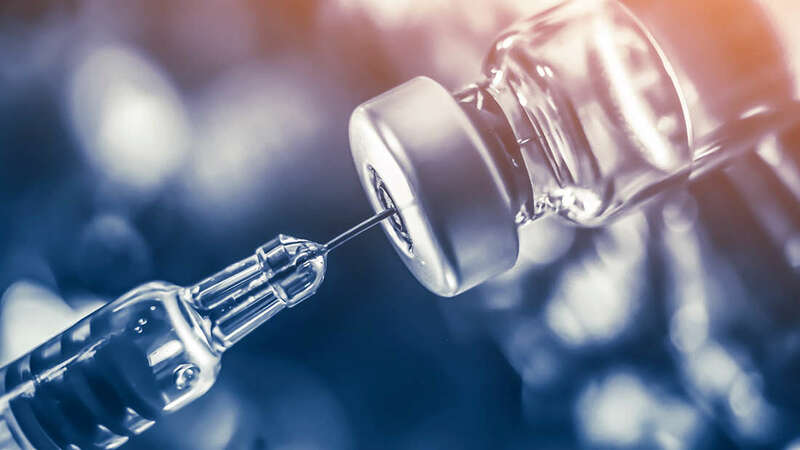 It’s a “technical tour de force,” and addresses the concerns raised by last year’s paper, says Michael Bonaguidi, an assistant professor at the University of Southern California Keck School of Medicine. The researchers, from Spain, tested a variety of methods of preserving brain tissue from 58 newly deceased people. They found that different methods of preservation led to different conclusions about whether new neurons could develop in the adult and aging brain. Brain tissue has to be preserved within a few hours after death, and specific chemicals used to preserve the tissue, or the proteins that identify newly developing cells will be destroyed, said Maria Llorens-Martin, the paper’s senior author. Other researchers have missed the presence of these cells, because their brain tissue was not as precisely preserved, says Llorens-Martin, a neuroscientist at the Autonomous University of Madrid in Spain. Llorens-Martin said she began carefully collecting and preserving brain samples in 2010, when she realized that many brains stored in brain banks were not adequately preserved for this kind of research. In their study, she and her colleagues examined the brains of people who died with their memories intact, and those who died at different stages of Alzheimer’s disease. She found that the brains of people with Alzheimer’s showed few if any signs of new neurons in the hippocampus—with less signal the further along the people were in the course of the disease. This suggests that the loss of new neurons—if it could be detected in the living brain—would be an early indicator of the onset of Alzheimer’s, and that promoting new neuronal growth could delay or prevent the disease that now affects more than 5.5 million Americans. Neurogenesis in the hippocampus matters, Gage says, because evidence in animals shows that it is essential for pattern separation, “allowing an animal to distinguish between two events that are closely associated with each other.” In people, Gage says, the inability to distinguish between two similar events could explain why patients with PTSD keep reliving the same experiences, even though their circumstances have changed. Also, many deficits seen in the early stages of cognitive decline are similar to those seen in animals whose neurogenesis has been halted, he says. In healthy animals, neurogenesis promotes resilience in stressful situations, Gage says. Mood disorders, including depression, have also been linked to neurogenesis. Hsieh says her research on epilepsy has found that newborn neurons get miswired, disrupting brain circuits and causing seizures and potential memory loss. In rodents with epilepsy, if researchers prevent the abnormal growth of new neurons, they prevent seizures, Hsieh says, giving her hope that something similar could someday help human patients. Epilepsy increases someone’s risk of Alzheimer’s as well as depression and anxiety, she says. “So, it’s all connected somehow. We believe that the new neurons play a vital role connecting all of these pieces,” Hsieh says. The #research is the latest in a string of studies to shed light on how children are victims of gun #violence in the U.S. Last year, a study revealed firearms are the second biggest cause of #death among young people after car crashes, with as many as eight children being killed by guns each day in the U.S.
AT&T's so-called "5G E" lost to Verizon and T-Mobile 4G in new speed tests. Enlarge / Screenshot from an AT&T commercial. AT&Tʼs "5G E" service is slightly slower than Verizonʼs and T-Mobileʼs advanced 4G LTE networks, a study by OpenSignal has found. 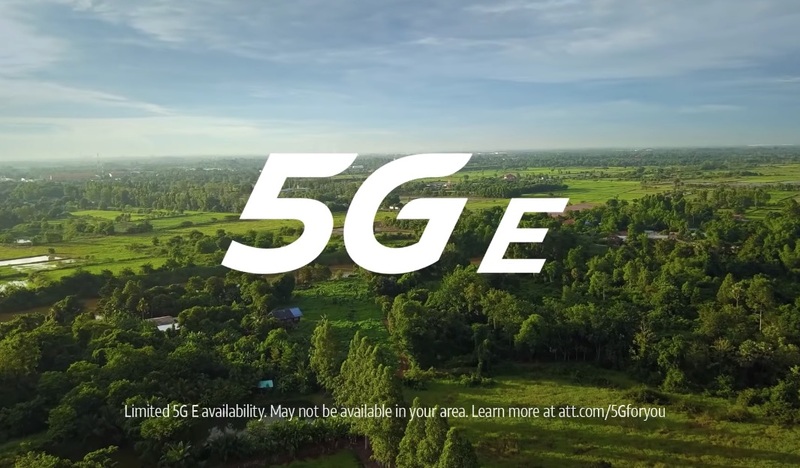 As Ars readers know, AT&T renamed a large portion of its 4G network, calling it "5G E," for "5G Evolution." 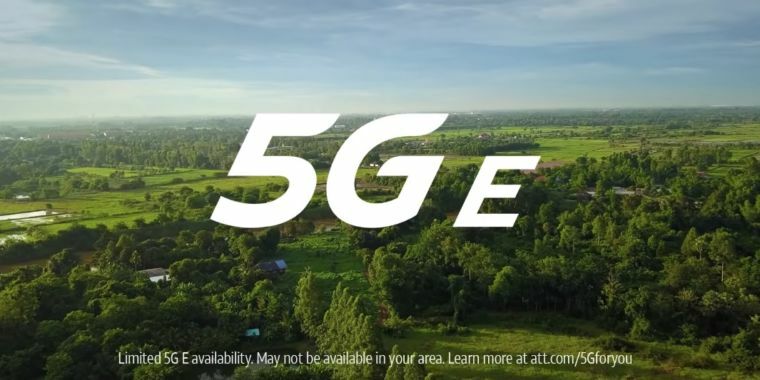 If you see a 5G E indicator on an AT&T phone, that means youʼre connected to a portion of AT&Tʼs 4G LTE network that supports standard LTE-Advanced features such as 256 QAM, 4x4 MIMO, and three-way carrier aggregation. All four major carriers have rolled out LTE-Advanced. But while Verizon, Sprint, and T-Mobile accurately call it 4G, AT&T calls it 5G E.
Sprint sued AT&T, alleging that AT&T is gaining an unfair advantage by making false and misleading claims to consumers. AT&Tʼs network name change may well trick consumers into thinking theyʼre getting better service than a 4G operator, but they arenʼt. We already knew that 5G E has no technological advantage over LTE-Advanced, because they are the same thing with different names. But actual speed tests could reinforce that point. For each network, this shows the average speed of LTE-Advanced ("5G E") phones versus the average speed of other 4G phones. In other words, AT&Tʼs 5G E speeds are typical LTE-Advanced speeds. It is a real upgrade over the older portions of AT&Tʼs 4G network, but thatʼs true for all four carriers. "Our analysis shows that AT&T customers with 5G E in their status bars are receiving up to a 60 percent boost in speeds over AT&T customers without it," OpenSignal CEO Brendan Gill said in a statement to Ars. "Of course, our analysis also shows that the same is true for the equivalent Verizon and T-Mobile customers even though they donʼt see a ʼ5G Eʼ label on their device. Bottom line, if one service is offering a meaningful boost over another, it probably should be labeled differently, just not with a name that confuses customers." OpenSignal data is based on crowdsourced speed tests that can be performed by anyone using OpenSignalʼs apps for iPhone and Android. OpenSignal told us todayʼs report is based on tests on 1,057,522 devices nationwide, across all four carriers, between January 28 and February 26. The tests donʼt automatically distinguish between LTE-Advanced and regular 4G LTE networks. But OpenSignal is able to distinguish between phone models, and it compared the phones that AT&T says are 5G E-capable to those that arenʼt. The resulting data thus compares LTE-Advanced phones to non-LTE-Advanced phones, regardless of whether the tests were conducted in a location where the network supports LTE-Advanced features. When contacted by Ars, AT&T argued that this limitation invalidates the results. "OpenSignal’s note reveals their methodology is flawed," AT&T told Ars. "Speed-test data purporting to show the ʼreal-world experience of 5G Evolutionʼ without verifying the capable devices were tested in a 5G Evolution coverage area as shown by the indicator does not accurately represent the 5G Evolution user experience." But all four carriers were measured the same way, and the resulting data may reflect the breadth of each carrierʼs LTE-Advanced deployment. Carriers that have deployed more LTE-Advanced coverage across the US would likely get higher speed-test results than carriers that havenʼt upgraded their networks to the same extent. We donʼt know exactly how much LTE-Advanced coverage each carrier has. But AT&T has repeatedly boasted about the size of its 5G E/LTE-Advanced footprint, saying it covers more than 400 markets across the United States. If AT&Tʼs 5G E was significantly faster or more widespread than other carriersʼ LTE-Advanced service, the OpenSignal tests probably would have found a big speed difference in AT&Tʼs favor. Instead, the results showed higher average speeds for Verizon and T-Mobile. AT&T offered no further comment. The new results are consistent with OpenSignalʼs previous testing. OpenSignalʼs overall data on consumer 4G experiences, released in January, showed that AT&T lagged behind Verizon and T-Mobile in 4G availability, video quality, and both download and upload speeds. OpenSignalʼs testing doesnʼt yet tell us what speeds consumers can expect when they get real 5G. But the data shows "the extent to which LTE, or 4G, networks have improved since LTEʼs original launch," OpenSignal wrote in todayʼs report. Deployment of LTE-Advanced technology has created "a much faster experience than the initial version of 4G that was launched back in 2009-2011" but no real advantage for AT&T over its top rivals. If youʼve been following the AT&T 5G E story, the OpenSignal results wonʼt surprise you. But if you know anyone whoʼs confused by AT&Tʼs misleading marketing, now youʼve got some data to help clear things up. You think you're unique and natural? Take this test and see whether you actually think like a computer. March 16 (Reuters) - The Apple Watch was able to detect irregular heart pulse rates that could signal the need for further monitoring for a serious heart rhythm problem, according to data from a large study funded by Apple Inc, demonstrating a potential future role for wearable consumer technology in healthcare. "The physician can use the information from the study, combine it with their assessment ... and then guide clinical decisions around what to do with an alert," said Dr. Marco Perez, one of the studyʼs lead investigators from Stanford School of Medicine. Dr. Deepak Bhatt, a cardiologist from Brigham and Womenʼs Hospital in Boston who was not involved in the trial, called it an important study as use of this type of wearable technology is only going to become more prevalent. "The study is an important first step in figuring out how can we use these technologies in a way thatʼs evidence based," he said. Research performed by Cornell University and the Hebrew University of Jerusalem suggests that people are intimidated by clever robots. A student or a programmer hired from Freelancer.com? Doesn't really matter. Both don't know that many things about password security. 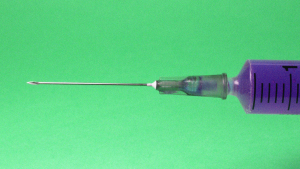 More than two decades ago, a doctor published a study claiming that vaccines can cause autism. How many students have the self-discipline to refrain from the insidious ease of so-called social media, or is prevention the simplist most effective policy? How annoying are Windows 10's automatic updates? In a new study, a group of UK researchers report that users of Home edition experience unexpected restarts and inconsistent installation times, caused by inappropriate defaults and inadequate notice of pending updates. Analysis of one of the biggest trials yet of the four-day working week has revealed no fall in output, decreases in stress and increased staff engagement, fuelling hopes that a better work-life-balance for millions could finally be in sight. Perpetual Guardian, a New Zealand financial services company, switched its 240 staff from a five-day week to a four-day week last November and maintained their pay. Productivity increased in the four days they worked so there was no drop in the total amount of work done, a study of the trial released on Tuesday has revealed. The trial was monitored by academics at the University of Auckland and Auckland University of Technology. Among the Perpetual Guardian staff they found scores given by workers about leadership, stimulation, empowerment and commitment all increased compared with a 2017 survey. Andrew Barnes, managing director of Perpetual Guardian. The biggest increases were in commitment and empowerment. Staff stress levels were down from 45% to 38%. Work-life balance scores increased from 54% to 78%. “We’ve been treated like adults and I think as a result everyone is behaving like adults,” said Tammy Barker, a branch manager who was part of the trial that cut the working week from from 37.5 hours to 30. The eight-week experiment was closely watched by employers and policymakers around the world. In the UK, the Wellcome Trust science funding body is considering switching its 800 head office staff to a four-day week, and Perpetual Guardian has been inundated with more than 350 requests for information about the trial from 28 countries. Most have come from organisations in the UK, followed by Australia, the US and Germany. The Labour party has commissioned a study of the possibilities of a four-day week. However, early research points to the complexity of achieving productivity gains in major industries like retail, where being present is a key part of the job. In the UK, average working hours have been increasing since the financial crisis, and questions have been raised about how far people working in frontline occupations such as nursing or the police could cut their hours without reducing the public service they provide. Smaller companies experimenting with the four-day week have found performance has been better in the first few weeks as excitement about the project took hold, before falling slightly. “The biggest concern from an employer point of view is ensuring that the full-time introduction of the policy doesn’t lead to complacency, with the risk that people’s productivity will slip back,” Barker said. But she said that she had personally found that working less increased her focus on tasks, and she was no longer jumping from one thing to the next. “I was actually finishing projects before moving on to the next one, and by the end of the day found I was accomplishing more than trying to multitask everything,” she said. People used the additional day off for some of the same leisure activity they would have done at the weekend, such as golf or watching Netflix, but new activities emerged too, according to Jarrod Haar, professor of human resource management at the Auckland University of Technology. These included “spending time with parents”, “spending much-needed time studying”, and “cleaning the house on a Wednesday and then having the weekend free”. He said significantly lower job stress and burnout was reported, with work-life balance levels achieving record highs. Blocking all ads faster than the blink of an eye. * That the adblocker used by Cliqz and Ghostery consistently performs as well or better than other popular content-blockers. Here we present a detailed analysis of the performance of some of the most popular content-blocker engines: uBlock Origin, Adblock Plus, Brave, DuckDuckGo and Cliqz/Ghosteryʼs advanced adblocker (shipped since Ghostery 8), which we will refer to as Ghostery for the rest of the article. This study was motivated by the recent Manifest V3 controversy. One of the proposed changes involves crippling the WebRequest APIs to limit their blocking abilities. Two justifications were put forth: one related to performance and another related to privacy. The privacy argument deserves its own separate analysis and will not be covered here. In this study, we show that the performance argument does not hold. Our comparison demonstrates that the most popular content-blockers are already very efficient (having a sub-millisecond median decision time per request) and should not result in any over-head noticeable by users. We showed in another study The Tracker Tax that blocking ads and trackers actually reduces the loading time of websites by up to a factor of 2. Besides, efficiency is continuously improved and technologies such as WebAssembly will allow to go even further. We did not include native blockers from Chromium and Safari projects as this would require some significant effort to package them in a way that allows benchmarking against the other libraries. We leave this for future work. All benchmarks were ran on an X1 Carbon 2016 (i7 U6600 + 16 GB) in Node.js 11.9.0. Memory measurements were performed in Google Chrome version 72.0.3626.96 using the memory snapshot tool. * All content-blockers except DuckDuckGo have sub-millisecond median decision time per request. * DuckDuckGoʼs adblocker does not offer serialization, so the loading cost is always the one from parsing the lists. * The memory usage of Brave could not be evaluated using the devtools and thus is not included in this section. To measure the performance of each content-blocker, we replayed requests from popular domains once and kept track of the time it took to decide if they should be blocked or not. We then analyzed the results in three different ways: all requests, blocked only and not blocked (taken from the same run). This requests dataset was created using a pool of Chrome headless browsers (driven by the puppeteer library) to visit home pages of the top 500 domains (as reported by Cliqz Search), as well as up to 3 pages of each domain (picked randomly from the home page) and collecting all the network requests seen (URL, frame URL and type). The dataset was shuffled in such a way that the different pages were visited in a random order, but requests seen on each page were replayed as they were recorded initially. The dataset is composed of 242944 requests. We released the data publicly at this URL: requests_top500.json.gz. The script to create the dataset is also available: create_dataset.js and shuffle_dataset.js was used to shuffle the requests to produce the final data. For the purpose of this comparison, we consider that each network request can be either blocked or allowed by the content-blocker; we call the process of deciding whether a request should be blocked or not: matching. We observed that from our dataset, only ~19.2% are blocked (average across all content-blockers). It results from this observation that content-blockers will perform better on average if they can efficiently decide which requests to not block. The filters used to determine whether or not a request is to be blocked are the ones from Easylist, where we removed all the cosmetic rules before running the benchmarks. The final list contains 38978 network filters and is available here: easylist.txt. It should be noted at this point that a larger proportion of requests would be blocked by enabling extra filters lists such as EasyPrivacy. We first look at all of the requests (whether they will eventually be blocked or not). We use a log-scale for the x-axis (time in milliseconds) to facilitate the comparison of the cumulative distribution of the time it takes for content-blockers to decide whether or not a request should be blocked. On these graphs we observe a plateau for Adblock Plus, Brave and Duckduckgo. This can be explained by the fact that these engines implement some form of caching internally, thus having a very fast response time for some requests which were already seen (redundancy in requests comes from both common third-parties seen on multiple websites as well as the fact that we load several pages for each domain). This caching can be implemented on top of any content-blocker and does not tell much about the efficiency of each; we can see this as a means to trade memory against CPU usage. * Ghostery makes use of a reverse index associating tokens to filters. Contrary to other libraries, we make sure that we pick the best token for each filter at construction time (best being defined as the least seen token). This incurs a one-time extra cost but results in maximized dispatching capabilities. * Filters are stored in a very compact form, in typed arrays, and only loaded in memory lazily, when there is a chance they will be blocked (if we encounter identical tokens in URLs). * Filters loaded in memory are optimized on-the-fly and multiple filters can be combined for increased efficiency. The optimizations were carefully crafted based on common cases observed in Easylist. In this section we have a look at the performance of content-blockers when it comes to serializing their internal representation for faster subsequent loading. Only DuckDuckGoʼs engine does not provide this feature. uBlock Origin, Ghostery, Adblock Plus and Brave all allow to serialize or cache (uBlock Originʼs terminology is: selfies) the entire blocking engine to either a string or a buffer, which can then be used to speed-up subsequent loads. Because this is a one-time operation, having a higher loading-time does not impact significantly desktop users. On the other hand, the ability to quickly initialize the content-blocker is critical on mobile. Another use-case allowed by such capability is to perform the parsing of the lists on the backend and ship the serialized form of the content-blocker to clients directly, which removes the cost of initialization completely. From these measurements we see that Ghostery offers both significantly faster serialization and deserialization times as well as a smaller cache size. The reason is the following: the internal representation is already mostly stored in a compact form (using typed arrays); this means that serialization only consists in adding a small amount of metadata along-side the already available arrays and deserialization is essentially instantaneous since itʼs enough to create some typed array views on top of the serialized buffer (think of mmap but using typed arrays). This also explains the very low memory consumption: after initialization, the memory usage is only slightly higher than the size of the serialized form. Here we consider the memory usage of each content-blocker, initialized from lists (not from cache) after one full garbage collection. The measurements were performed using Chromeʼs devtools memory snapshot. We did not measure Brave here since the memory used from C++ side does not seem to be taken into account in the snapshot. Also keep in mind that this memory usage can vary at run-time as content-blockers might cache frequently used resources, etc. As mentioned in the previous section on serialization, the very low memory usage of Ghostery can be explained by the fact that the internal representation mostly consists of very compact typed arrays with some small over-head for extra meta-data. Again, we need to stress here that this measures the network filtering engine of Ghostery only, not the full extension, as described in the introduction. In this graph, we present the time it takes for each content-blocker to be initialized from the lists (without any prior caching, which means initializing all internal resources by parsing the raw list). We see that only Brave seems to be significantly slower and that uBlock Origin, Ghostery, Adblock Plus and DuckDuckGo all perform well. It seems that the long parsing time for Brave is a known issue tracked on their GitHub repository. Now if we remove Brave, we see that there are still differences between uBlock Origin, Ghostery, Adblock Plus and DuckDuckGo. One reason Ghostery is slower than uBlock Origin and AdblockPlus here is that to achieve maximum performance while matching as well as minimize memory usage, there is a bit more work to do up-front. In practice this does not matter so much since it is a one-time operation and that subsequent loads are performed from cache, and this is really fast (in fact, we can even perform the parsing backend-side and just ship the serialized version of the blocker, which removes this step completely). 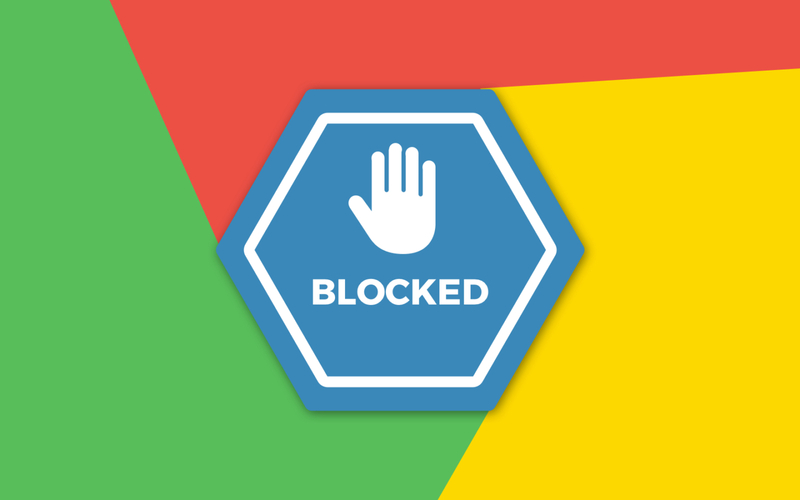 In this study we looked closely at the performance of some of the most popular content-blockers in use today. In particular, we focused on the efficiency of their network filtering engines, which is the most CPU intensive task they perform. While most content-blockers are indeed efficient, they are not equivalent and we observed that Ghostery performs consistently as well or better across all dimensions, often surpassing other libraries. We hope that these benchmarks will give an opportunity for content-blockers developers to measure their own progress against other popular libraries; benefiting all users, no matter which extension they use, as the efficiency of content-blockers improves. Many of us have become so accustomed to social media that it is hard to remember when it was not intrinsic to our lives, though in reality it has not existed in a meaningful sense for more than 20 years. Over the last decade, the amount of time spent on social media and in front of screens has slowly yet steadily increased, arousing the interest of many health professionals trying to understand its impact on human health. A new study, which is being hailed as the most trustworthy scientific assessment of social mediaʼs effects, suggests that quitting Facebook is unequivocally positive for oneʼs mental health. Researchers at Stanford University and New York University who led the study — which was posted on an open access site called the Social Science Research Network — recruited 2,844 Facebook users via Facebook ads. Those users were initially asked to fill out extensive questionnaires about their overall well-being, political views, and daily routine. Half of the users were then randomly assigned to deactivate their Facebook account for four weeks in exchange for payment. Researchers regularly checked the Facebook accounts during the month to make sure they weren’t reactivated, and regularly received text messages to asses these usersʼ moods, creating a real-time evaluation. Overall, researchers concluded that not using Facebook reduced online activity, including other social media use, and increased offline activity such as watching television and socializing with friends and family more. Those who deactivated also observed a decrease in political polarization and news knowledge, and an increase in subjective well-being. 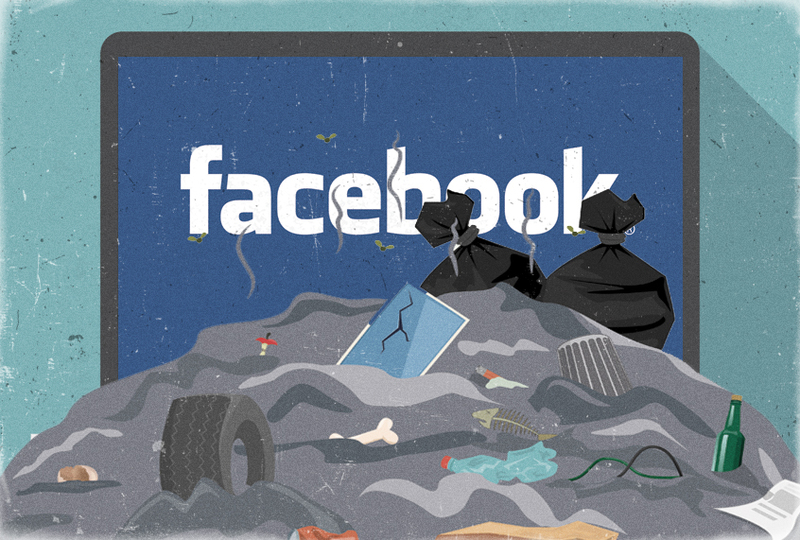 The one-month cleanse also led to a reduction in time spent on Facebook for several weeks after the experiment. As the authors of the study explain, “there may be no technology since television that has so dramatically reshaped the way people communicate, get information, and spend their time.” The social media behemoth has nearly 2.3 billion monthly users. According to data from 2016, the average users spends 50 minutes per day on Facebook and its sister platforms Instagram and Facebook Messenger. The authors do advise that there are caveats. The paper is being praised for its rigor by other academics. The world’s most common digital habit is not easy to break, even in a fit of moral outrage over the privacy risks and political divisions Facebook has created, or amid concerns about how the habit might affect emotional health. Although four in 10 Facebook users say they have taken long breaks from it, the digital platform keeps growing. A recent study found that the average user would have to be paid $1,000 to $2,000 to be pried away for a year. So what happens if you actually do quit? A new study, the most comprehensive to date, offers a preview. Expect the consequences to be fairly immediate: More in-person time with friends and family. Less political knowledge, but also less partisan fever. A small bump in one’s daily moods and life satisfaction. And, for the average Facebook user, an extra hour a day of downtime. The study, by researchers at Stanford University and New York University, helps clarify the ceaseless debate over Facebook’s influence on the behavior, thinking and politics of its active monthly users, who number some 2.3 billion worldwide. The study was posted recently on the Social Science Research Network, an open access site. Mr. Kelly, who estimated that he spent about an hour a day on the platform, took part in the study “because it was kind of nice to have an excuse to deactivate and see what happened,” he said. Well before news broke that Facebook had shared users’ data without consent, scientists and habitual users debated how the platform had changed the experience of daily life. When Facebook has published its own analyses to test such claims, the company has been roundly criticized. The new study, a randomized trial financed principally by the Alfred P. Sloan Foundation, a nonpartisan supporter of research in science, technology and economics, sketches out a nuanced, balanced portrait of daily use that is unlikely to satisfy either critics or supporters of the platform. The paper, along with similar analyses by other research groups, has not yet undergone peer review. The Times asked five independent experts to look at the methodology and findings. 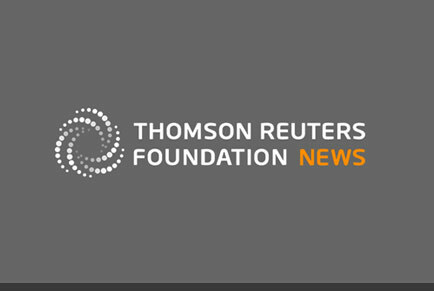 “This is impressive work, and they do a good job sorting out causality,” said Erik Brynjolfsson, director of the Massachusetts Institute of Technology Initiative on the Digital Economy, who was not involved in the research. The researchers — led by Hunt Allcott, an associate professor of economics at N.Y.U., and Matthew Gentzkow, a Stanford economist — used Facebook ads to recruit participants over age 18 who spent at least 15 minutes on the platform each day; the daily average was an hour, with heavy users logging two to three hours, or more. Nearly 3,000 users agreed and filled out extensive questionnaires, which asked about their daily routines, political views and general state of mind. Half the users were randomly assigned to deactivate their Facebook accounts for a month, in exchange for payment. The price point for that payment was itself of great interest to the researchers: How much is a month’s access to photos, commentary, Facebook groups, friends and newsfeeds worth? On average, about $100, the study found, which is in line with previous analyses. The subjects also regularly received text messages to assess their moods. This kind of real-time monitoring is thought to provide a more accurate psychological assessment than, say, a questionnaire given hours or days later. She and her fellow abstainers all had access to Facebook Messenger throughout the study. Messenger is a different product, and the research team decided to allow it because it has similarities with other person-to-person media services. When the month was over, the quitters and control subjects again filled out extensive surveys that assessed changes in their state of mind, political awareness and partisan passion, as well as the ebb and flow of their daily activities, online and off, since the experiment began. For abstainers, breaking up with Facebook freed up about an hour a day, on average, and more than twice that for the heaviest users. They also reported spending more time offline, including with friends and family, or watching TV. On tests of political knowledge, the abstainers scored a few points lower than they did before deactivating their accounts. Scores on several measures of political polarization were mixed, although one scale, called “polarization on issues,” dropped for the abstainers by 5 percent to 10 percent, whereas the control group remained the same. Reduced knowledge, in short, may blunt partisanship, although this relationship is far from clear. The most striking result from the study may be that deactivating Facebook had a positive but small effect on people’s moods and life satisfaction. The finding tempers the widely held presumption that habitual social-media use causes real psychological distress. This notion is drawn in part from surveys that ask social-media users about their extent of use and overall moods. For instance, research led by Ethan Kross, a professor of psychology at the University of Michigan, has found that high levels of passive browsing on social media predict lowered moods, compared to more active engagement. But previous research could not discern whether mood problems followed heavy usage, or moody people tended to be the heaviest users. The new study supported the latter explanation. If heavy Facebook use caused mood problems, the researchers would have expected to see the moods of heavy users improve by a greater amount relative to lightweight users. But that didnʼt happen, which suggested that the heavy users were moody before they were sucked deeply into Facebook. In an interview, Dr. Kross said that it was too early to draw hard conclusions on the psychological effects of quitting Facebook. He pointed to two recent, smaller randomized studies that found users’ moods lifted when their access to social media was restricted. “What I take away from these three papers” — the Stanford study and the two smaller ones — “is we need to know more about how and when social-media use impacts well-being, not conclude that the relationship doesn’t exist,” or is very mild, Dr. Kross said. Thus far, the debate over the effects of social media on mental health has focused mostly on children and adolescents, not on the older population that was the focus of the new study. Psychologists and computer scientists have made the case that social media are addictive, and few habitual Facebook users would disagree. The new experiment provided plenty of supporting evidence: After it ended, the subjects who had quit for a month said they planned to use Facebook less, and they did so, reducing their previous habit — at least for a while. About 10 percent were still abstaining a week later, compared with 3 percent of the control group, who had voluntarily deactivated; and 5 percent were abstaining two months later, compared with 1 percent in the control group. The financial incentives told a similar story. 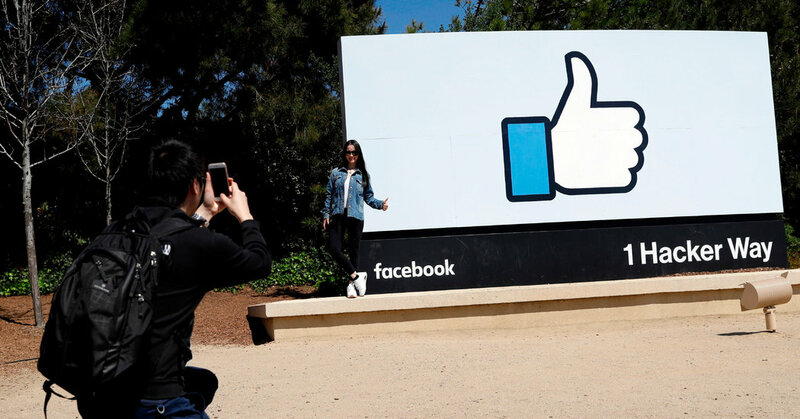 After the monthlong portion of the study ended, the researchers asked the abstainers how much they would need to be paid to stay off Facebook for another month, hypothetically. This time, the price point dropped below $100 — though not for everyone. Benedict Carey has been a science reporter for The Times since 2004. He has also written three books, “How We Learn” about the cognitive science of learning; “Poison Most Vial” and “Island of the Unknowns,” science mysteries for middle schoolers. 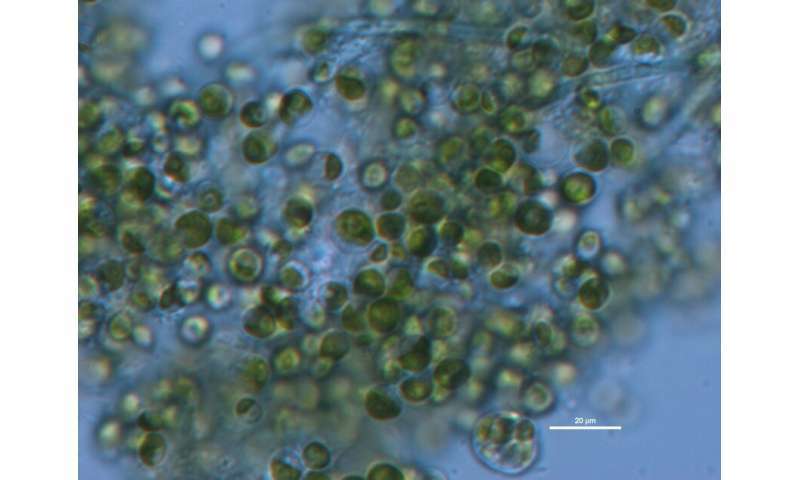 Environmental engineers have discovered that Chlorella vulgaris, a single-celled fresh water algae species, effectively removes pollutants from wastewater even at fluctuating levels, making it an effective tool for wastewater treatment. Fathers who suffer from post-natal depression are more likely to have depressed teenage daughters a new study shows. "We have created another pseudo-disease." A unique world-first for science. The research team believes that the answer to bats’ longevity lies in its DNA, specifically telomeres.